My style of workshop called A.R.T. 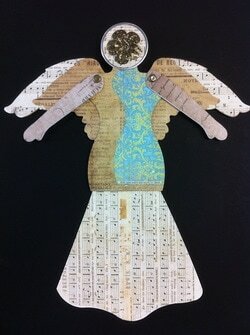 Massage Workshops ™ combines massages and art expression. 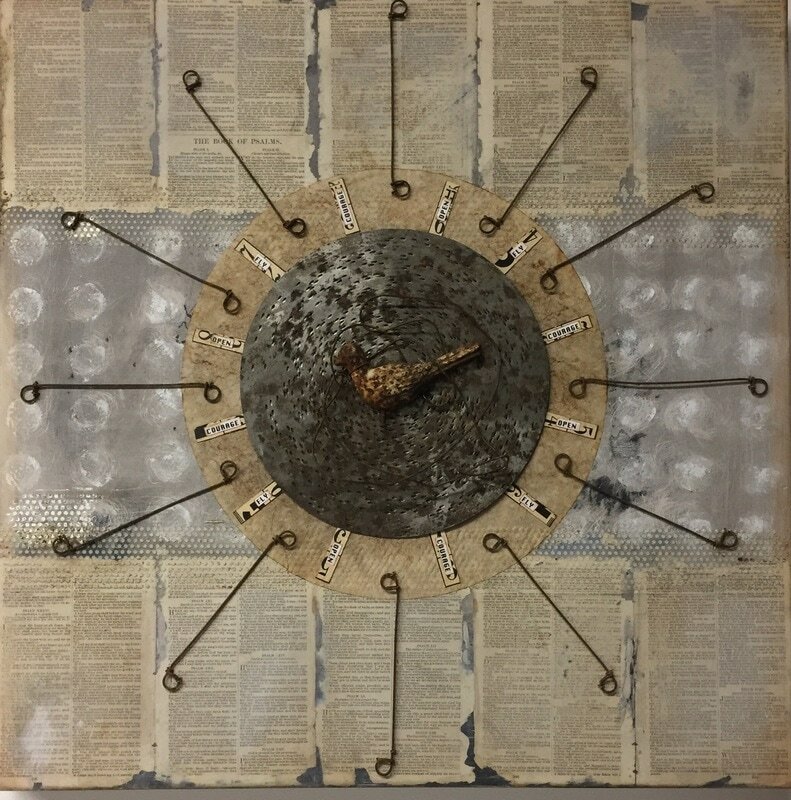 This concept was birthed from my experiences: a combination of my faith, creating my hope based artwork, receiving healing touch. Learning to embracing one’s journey is to begin to understand the beauty that comes from the ashes and embracing the gratitude and joys in life. Through A.R.T. 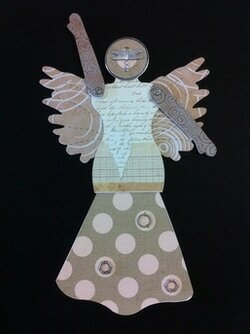 you will begin to embrace your creative spirit and create a mixed media art angel combined with journaling. In embracing the process of awareness of both struggle and freedom in remembering and releasing is powerful. We celebrate both the renewed and already restored. We open up the spaces within us for light, healing and Hope. With the focus of staying and being present with your feelings that came up with the reflective art/journaling portion you would then move to the massage room to begin to receive healing touch massage. In the places you seek restoration and the places you wish to celebrate and the gift that you give yourself thru this time is a wellspring for you. 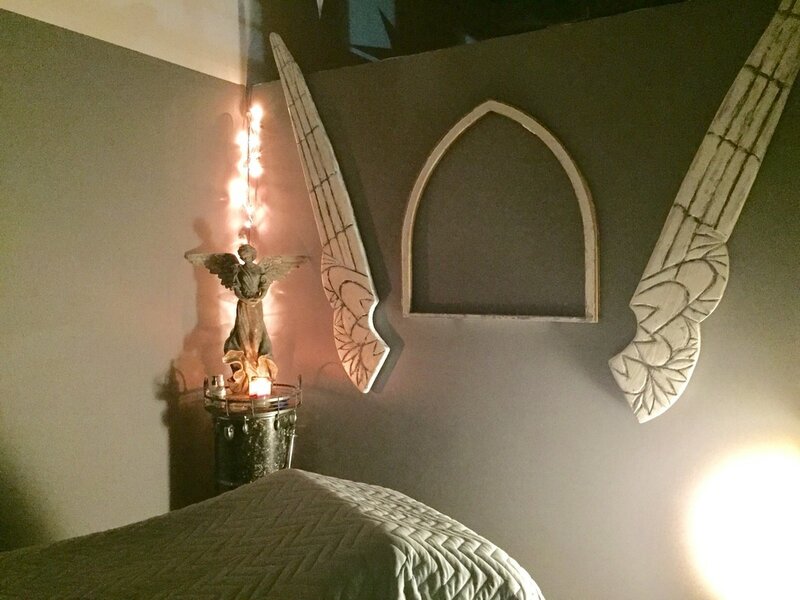 My hope is that Restorative Touch Massage Studio’s A.R.T. Workshops can be a part of your wellness journey. The Beauty of our A.R.T. Massage Workshops is there is no art background necessary. Refer a friend to our workshops and receive an extra 10 minutes towards your next massage booking. "My experience at Pam's A.R.T. Massage workshop was wonderful! The art portion of the evening allowed me to focus my intentions and to be truly present during my massage. A wonderful experience overall. I will highly recommend the A.R.T.Massage Workshops!